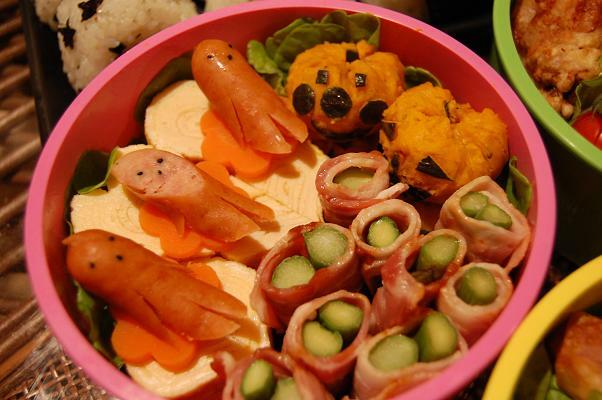 A new trend is hitting the bento boxes of Japan right now and we are scared. Young children and hardworking spouses across the nation are sitting down at lunch time only to be visually assaulted by what they call “sausage people.” To most, these little weiners cut up to resemble a person seem harmless and most message boards in Japan praise the invention, with virtual screeches of the Japanese equivalent of “OMG, it’s so cute!” Well we have a newsflash for you, Japan. These sausage people, or “so-se-jin,” an adorable play on words of the Japanese word for “sausage” (so-se-ji) and “people” (jin), are down right terrifying. Don’t believe us? Just take a look at this photo compilation of sausage people found on sites across the web. Just be warned, you’ll never look at a sausage the same way again. ▼ It starts out innocent enough. Just a happy face drawn on a cocktail weiner. Cut in some legs? Sure, why not. What could go wrong? ▼ Umm…what happened to the happy little sausage you showed me before? ▼ Okay, maybe they’re not so bad. This one’s a cute little bunny. ▼ What the f*ck is that?! ▼ Will somebody pleeease think of the children? ▼ …not even if you’re so skilled at sausage people making that you can give rise to an entire army of perfectly sliced weiner warriors. ▼ And we know what they say about seeing how the sausages are made, but this is nastier than we could have imagined. ▼ Just stop. Stop it right now! Now do you see what we mean about the horror that is sausage people?